Notes. 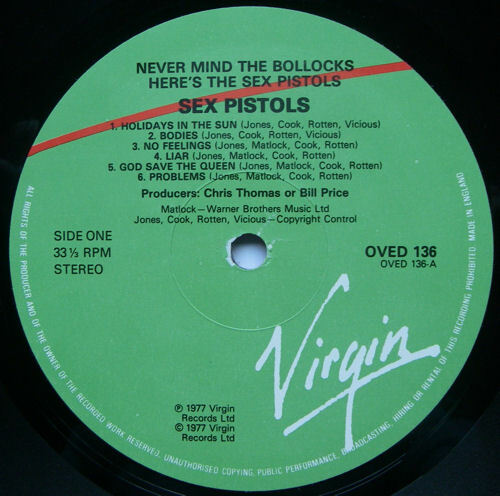 Change of catalogue number to OVED 136 as part of Virgin's 1980s mid-price range. 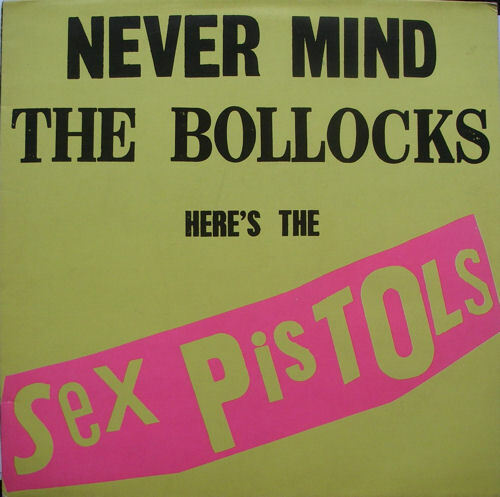 12 track pressing. Belsen Was A Gas and Submission listed on rear sleeve. Liar listed twice. 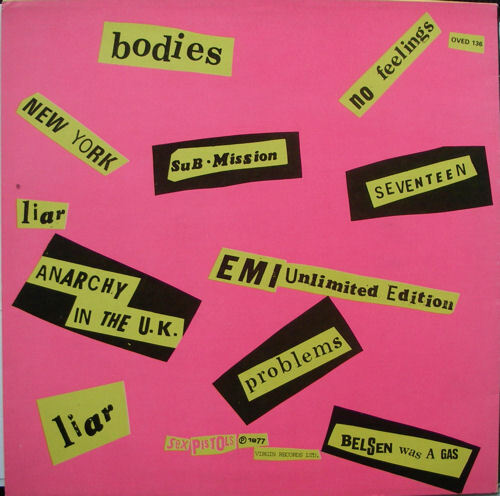 God Save The Queen, Pretty Vacant and Holidays In The Sun omitted from sleeve. 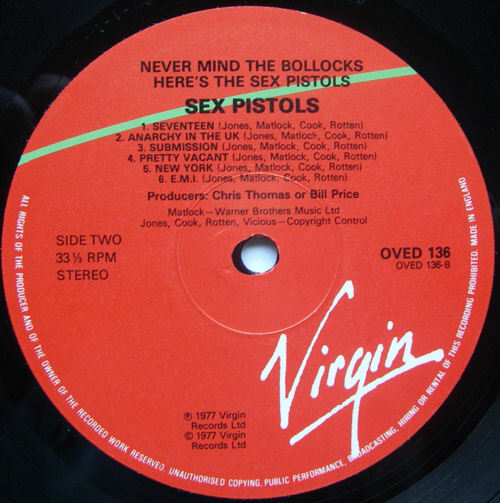 Virgin green / red labels. 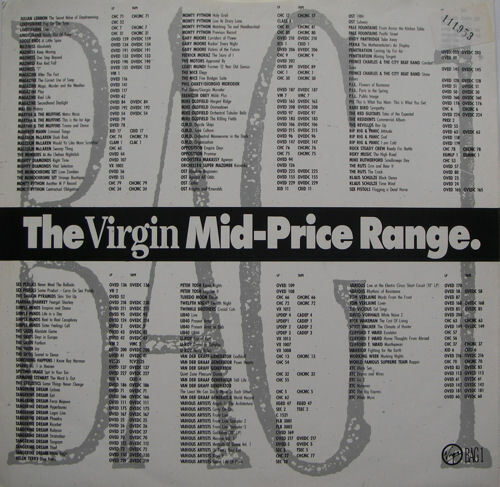 Inner sleeve advertising mid-price range. 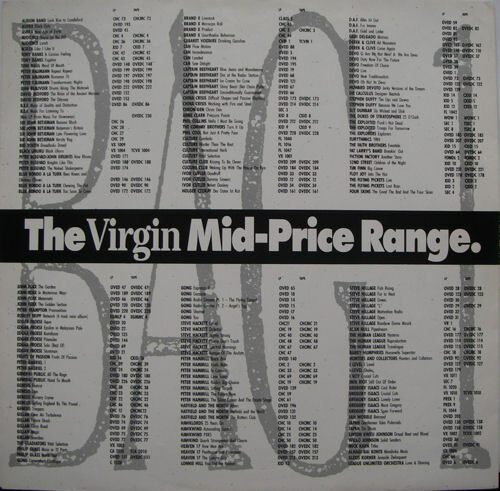 Inner sleeve advertising mid-price range.